“Describe a setback, disappointment, or occasion of failure that you have experienced. How did you manage the situation, and what did you learn from it?” This is an essay question—one of nine identified in “65 Successful Harvard Business School Application Essays”—that has appeared on the Harvard Business School (HBS) application. Designed to showcase a variety of essays that have helped candidates gain admission into HBS, this new book contains 65 applicant essays along with commentary and analysis courtesy of writers from The Harbus, the HBS student newspaper. 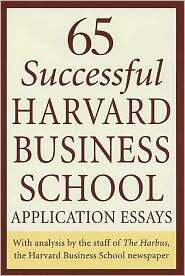 For those contemplating the business school application process “65 Successful Harvard Business School Application Essays” provides insight into the kind of writing that may appeal to admissions committees at elite business schools. In addition to providing tips and strategies, this book may also unwittingly provide prospective applicants with a sense of hope. Many of the essays are less-than-inspired, and some demonstrate remarkable shortcomings in terms of writing skills. Even the so-called “failure essays” are unspectacular, a mix of workplace setback stories and run-of-the-mill leadership challenges. 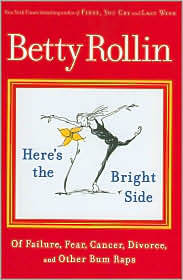 Perhaps most encouraging of all, this book proves there are countless ways to successfully express yourself to the HBS admissions committee. One doesn’t even need to say, “I learned something new every day.” But it clearly doesn’t hurt.